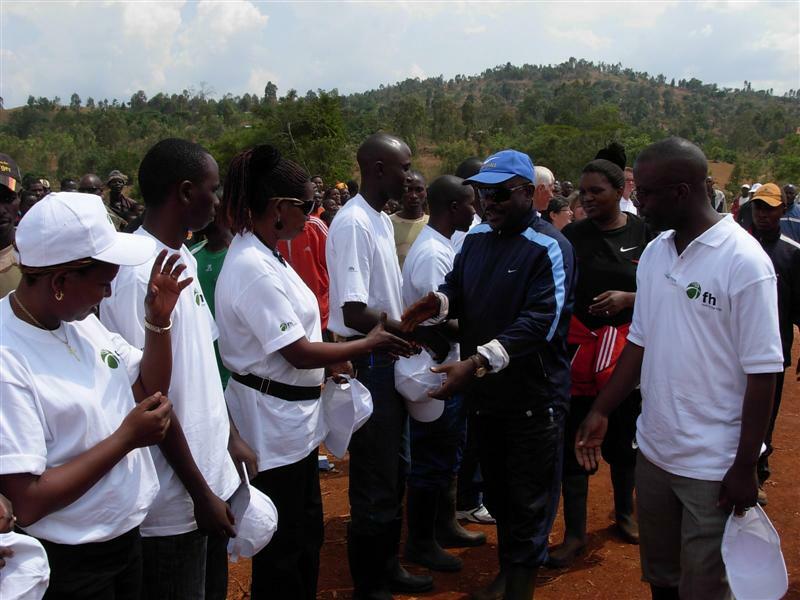 On September 23, the FH Returnee Reintegration Program received an honorary visit from Pierre Nkurunziza, President of Burundi. Staff members were able to update the President on the progress of the program, and the changes that returnees are experiencing in their daily lives as a result of partnership with FH Burundi. As the number of returnees supported by FH programs has recently doubled, so have our efforts. Activities now include infrastructure support and job creation through the construction of schools and development of community tree nurseries, animal restocking, environmental education, skill capacity building and training focused on community income generation in "off-farm" activities. Food security remains a priority and as a result FH also remains committed to agriculture support. Click here to donate towards our integrated community development programs in Burundi.